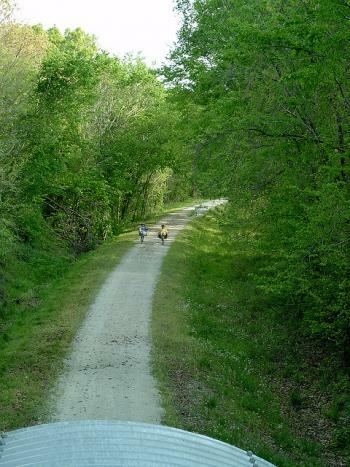 Katy Trail & Rock Island Spur Open House in Sedalia Oct 16th - public invited! 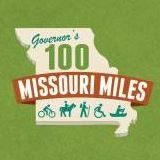 Missouri State Parks has hosted a series of public meeting at state parks around Missouri. Now it is time for the western section of the Katy Trail, including the Rock Island portion. It's something of a momentous time in the history of the Katy Trail, with the recent opening of the 47-mile Rock Island Trail spur, forthcoming connection of the trail to Kansas City, and a decision on the next 150 miles of the Rock Island Trail expected by the end of 2018. So . . . if you're interested in the Katy Trail, the existing portion of the Rock Island Trail, or the potential new 150-mile section of the Rock Island Trail from Windsor to Beaufort, it will be helpful to have your public support at this Open House. The meeting is an informal chat with informational displays staffed by State Park workers who are knowledgeable about the trail. JEFFERSON CITY, MO, OCT. 4, 2018 - The Westen Section of the Katy Trail State Park, including the Rock Island Spur, will host an informational meeting 6 to 8 p.m., Tuesday, Oct. 16, 2018 at Sedalia's Katy Trail Depot. The public is invited to share comments about the park and its operations. Park staff will be on hand to provide information and to answer questions. The Katy Trail Depot is located at 600 E. Third St., Sedalia. For more information about the meeting, call the park at 573-449-7402. » Next story: Katy Trail nominated for American Planning Association's Great Places in America - now needs your vote to win!